First I'm Egyptian Arabic Tutor, who want to check rocket langauges' Arabic book. I recommend it too much. 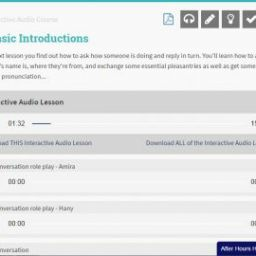 every lesson has 400 points , you will listen to a conversation Audio and it's transcript , then you will record your voice. it's full course with grammar and verbs, as i'm Arabic tutor i recommend it , there isn't any mistake in phonetics and pronunciation.